Broker Dealers for Sale - Nobody Sells More Broker Dealers! 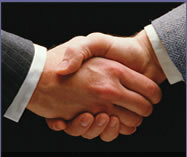 We Have Successfully Closed 3700+ Deals In Our 27 Years in Business. For 27 years, Broker Dealer Market has served the special Buy, Sell and Merge needs of small to medium sized Broker Dealers (BDs) and Registered Investment Advisors (RIAs). Our experience has allowed Broker Dealer Market to streamline the process for those who have a Broker Dealer for Sale (FINRA) or an Registered Investment Advisor for Sale (SEC) as well as those who wish to Buy a Broker Dealer or Registered Investment Advisor - providing quick and smooth transition of ownership. All Calls are kept in strict confidence. Broker Dealer Market will never sell or share your information unless it is in the furtherance of your Acquisition. Broker Dealer Market has numerous companies listed at any given time, ranging from clean, reporting, never used shell Broker Dealer's to substantial producing Broker Dealers with very recognizable names. In addition, we have clean shell RIAs to substantial producing RIAs. We also assist in a multitude of related regulatory compliance procedures. Our current list of buyers and sellers is available to all. However, due to the special needs of larger companies, in the 100 million plus range, these companies are not openly listed. Should you be interested in a larger, producing brokerage house or Registered investment Advisor, it will be necessary to make confidential contact in order to gain access to this information. It DOES make a difference who represents YOU when you Buy, Sell or Merge a Broker Dealer or RIA! Don't be fooled by cheap imitations - No one can beat our experience. Call our 24/7 days a week phone line at 800-454-0629 to schedule a confidential appointment. If you have a Broker Dealer or RIA for Sale, call us for a free valuation of your Broker Dealer or Registered Investment Advisor. Do you know someone who has a Broker Dealer for Sale or and RIA for sale call us, we will gladly pay you a 20% referral fee.